Are you aware of the savings available for subsequent cycles? The Medicare Safety Net provides families and individuals with financial assistance for high out-of-pocket costs for out-of-hospital Medicare Benefits Schedule (MBS) services. Once you meet a Medicare Safety Net threshold, you may be eligible for additional Medicare benefits for out-of-hospital MBS services for the rest of the calendar year. Also available is the PBS Safety Net, if you and your family need a lot of medicines in any year. Please refer to https://www.mbsonline.gov.au for further information. What Is An Extended Medicare Safety Net (EMSN) Benefit Cap? An EMSN benefit cap is an upper limit on the amount of Medicare Safety Net benefit payable for an out-of-hospital MBS service. Not all Medicare items have an EMSN cap. For more information about the EMSN benefit cap, please see the Extended Medicare Safety Net fact sheet at the MBS website. Once you reach a Medicare Safety Net threshold, visiting a doctor or having tests may cost you less. For example, if you reach a threshold and then visit your doctor who charges you $65.00 for a standard consultation, you will receive your standard Medicare benefit. You will also receive an extra refund, the amount varying according to your personal situation. An out-of-pocket cost is the difference between the Medicare benefit and what your doctor charges you. From the 31st December each year, the amount you have accumulated towards your Extended Medicare Safety Net resets to zero dollars and you have to start all over again and build this up until you are again eligible for extra Medicare Rebates. To capitalize on the Safety Net for the year and potentially receive up to hundreds or sometimes even thousands in extra rebates (the amount will depend upon your treatment), you may want to consider having further treatment before the end of December, rather than waiting until January of the next year. By choosing to have further treatment in the same calendar year, this could potentially mean that you receive additional safety nets and can reduce your out of pocket expenses considerably. If you would like to know more about the Medicare Safety Net and what it means for you in relation to out of pocket treatment costs at Fertility Solutions, please call the Medicare Department of Human Resources on 132011 or go to their website. To maximise your Medicare rebates, all fertility treatment service dates must be completed by 31st December each year. After this time, a new Medicare Safety Net year commences. 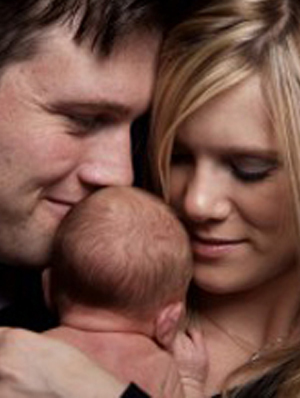 Fertility Solutions reviews all treatment fees yearly in line with the Medicare reviews. This does not necessarily mean that there will be an increase across the board; however, any increases that do occur in treatment/medication costs will be phased in over a 2 month period. This transition time enables individuals/couples time to consider having another treatment before the price rise takes effect. If you would like to discuss this further please contact our administration team on 1300 337 845 (1300 FERTILITY), so we can assist with your individual circumstances. Click here for more information on fertility costs.